Looking for the electrical schematics and owner's manual if anyone has any clue where I could find them. When contracting out work on your RV. With the recent article and attention to the *SCUM BAG, who takes, hard working folk's money to repair,restore,upgrade etc and then not do the work,, We all have to get our radars up in full attention mode. As with ANY type of work, whether it be your home or RV, Check and double check there credentials and Local Reputation. my letter to the garage your thought? This letter concerns my 1969 Dodge A100 Xplorer also known as the Go-Go Bus. We just looked at an interesting Motor Home. Looks like it will run out good and interior is very usable and price is excellent ($500) . But, the tires are very old and it hasn't been run long time for about 10 yrs. I suspect it will need 6 new tires and wheels probably. 8.00 x 16 LTS . Does anyone know what would be the best tire / wheel combo? And, maybe best cost? 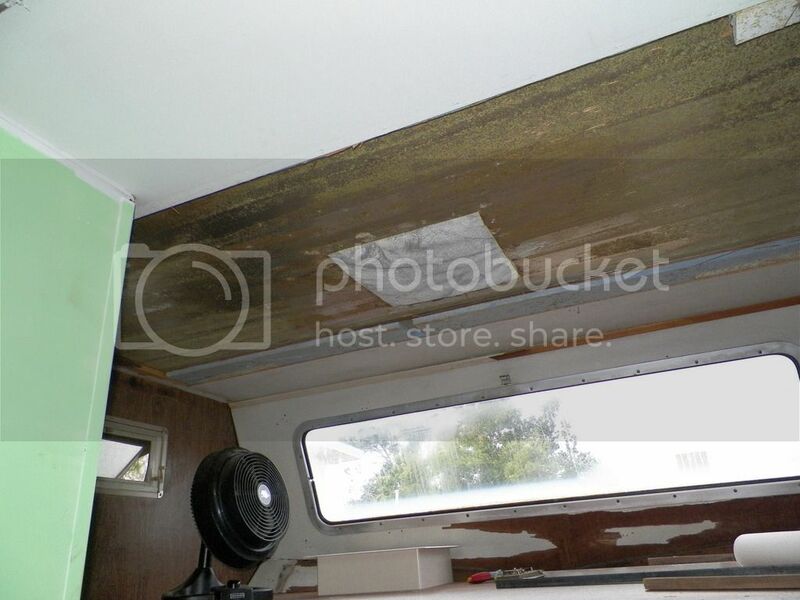 Yesterday I rescued a 1953 Kencraft Travel Trailer! It's a disaster - with great bones/structure. Kinda wish I knew more about this rig. Non Ethanol Gasoline For RV Storage. I been told to run the regular gas out and fill up with Non ethanol gasoline and get that in the fuel system before long periods of storage of 3 to 6 months. Marina's only sell non ethanol gas for good reason as I am learning. Our 1969 dodge travco 22 footer with the 318 semi hemi is doing a rythmic power surge. Does it at idle and under power. The lites dim and brighten with it. I've put a new voltage regulator on and checked all connections, especially grounds. Rig is all original with the ballast resistor and original distributor.